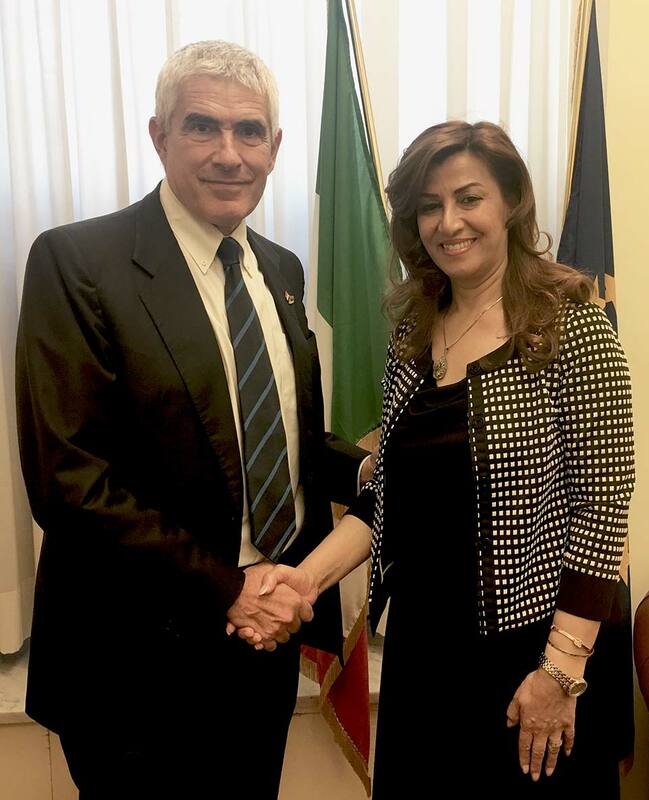 Today, Mrs. Kader met with the Chairman of the Foreign Affairs Committee at the Senate of the Republic, Pierferdinando Casini. The Vice President of the Committee, Senator Paolo Corsini and the former Minister of Education Senator Stefania Giannini also joined the meeting. The talks focused on the current situation in the region following the release of Mosul and the problems relating to the processof rebuilding and reconciliation of the population. In particular, Mrs. Kader spoke of the referendum on independence of the Kurdistan Region, which will take place on September 25, pointing out that it was a popular request with a consultative nature. The right to self-determination is an expression of democracy, especially for a nation that has been victim of persecution and violence and, despite all, has always raised and tried to rebuild a climate of stability and peace. In this framework, President Barzani has assured that the private domain of each state will be respected, thus avoiding any fears of a domino effect. For this reason, it is now more than ever necessary the support of countries like Italy, historically friends and allies of the Kurdish people, at this historic stage of the country.